Sounds awesome! So different from what I’ve read from you in the past. I can’t wait too see what you do with a paranormal post-apocalyptic book. Love it! I can’t wait to read it! Thanks for the chance. I am really looking forward to seeing what Adam and Parker will be up against next! I am so happy to finally see we get more of Adam and Parker! This book made me fall in love with dystopian books. I even got my husband to read this book after I was done since as he says “You won’t stop talking about it so it has to be good” and as I knew he would, he loved it! HE even stayed up all night like I did to complete it! I’ve been waiting for this sequel!!! Ooooh! Great cover and I’m sure it’ll be a fab read. I so loved these guys! Thanks for the chance. The cover is amazing and I’m so looking forward to reading this book! I am so, so excited to catch up with Adam & Parker! I loved Kick At The Darkness and so I’ve been waiting to see what happens to them! Finally!!! I am so excited to read more about Parker and Adam and their high seas post-apocalyptic adventures! Kick at the Darkness was my favourite book last year! I can’t wait for this, loved the first book in the series! Omg I am so excited!!!!! I love it!!!! Wow great cover I’m so looking forward to reading the sequel!! I had no idea there was going to be a sequel, what an excellent surprise!! Can’t wait to read it. I’d love to check it! Zombies, illness, danger, hot men, a werewolf…. 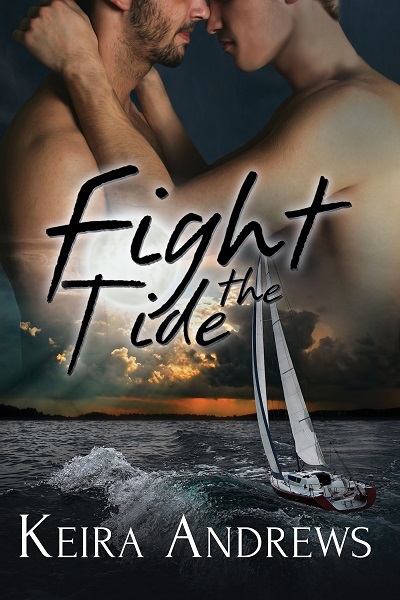 hot men adrift in the water…what more could you want in a book? Did I mention hot men? Looks like a tettific read ! Loved the first one and am really looking forward to this one too. Thanks. Well, you currently my PB of Kicking so you know how much I love this series!! Cannot wait for more…. One of my faves from you, and that’s saying a lot since you’re one of my top 5! I’ll have to do a re-read, since it’s been awhile. Can’t wait! The first book was a 5-star read for me 🙂 Can’t wait for the sequel!! *flails* AAAHHHH!!!!! Love love love! Kick at the Darkness is in my top five favorite m/m romance novels. I have read it so many times just slowly wasting away until the sequel. *Dramatic sigh*. How did I not know you wrote a zombie m/m story?! Ahhhh!!!! I will definitely have to check these out!!! Thanks for the chance!! Gorgeous cover and the blurb sounds fantastic! Thanks for the chance to win a copy!! So happy to see you’ve written another story. No matter what the storyline I can never seem to put your books down when I start them and I’m always wanting a sequel when I read the last page. Looking at your title list I can see I’ve missed a few books in the last little while. I will have to remedy that. Congrats Keira! Oh, this sounds quite interesting! Thanks for the chance and congratulations on your newest baby. Much success to you! OMG! I want this book… now!!! That cover will look great next to book 1!!! Fantastic news! I didn’t realize you were going ro have a sequel! Love werewolves! Congrats on the future release. Sounds like it’s gonna be a great book. Can’t wait to read it. The cover is beautiful. The chance for a free book even better! Sound amazing!! Can’t wait. Thanks for giving us a chance to win!! So excited for this story!! Eeekkkkkk I can’t wait to read this story!!!!! I didn’t know there would be a second book! That’s a really great surprise. I can’t wait to read this one. I never thought I would like a story with zombies but I did… a lot! I know you weren’t sure you’d go back to their world but I’m so happy you did! Sounds good. Hope to read it soon. Goodness, this sounds awesome. I love the shifter books you’ve done. I hope I get it this one. Should be interesting! Your fans are awesome, by the way. Thanks for all the work you do in creating your characters and the worlds they live in for us! Sounds great with a very nice cover. Thanks. OMG, I need this in my life! Beautiful cover. Hope to read it soon! OMG!Awesome giveaway. I need my Parker and Adam fix pronto! Will have to organize a little re-read of Kick at the Darkness but I shall suffer through lol. A sacrifice I’m willing to make. Can’t wait to read more about these characters. Love the cover! I’m looking forward to more of Adam and Parker. This book sounds amazing. Thank you for the chance to win! I am SO excited!! I can’t wait for the adventure to continue. This sounds very exciting. Awesome! I’d love to get my hands on a copy of this when it comes out. I bought the first book in the series as soon as it came out but I’m been saving it for this so I can have a very long reading session. When an author is really good I hate for books to end and this way that won’t happen so fast. I’d love to win this one but if not, I’ll buy it. This sounds so good. Since I haven’t read book 1 yet I’m moving it to the top of my TBR list! Wonderful cover and the guys sound so perfect for each other! Loved Adam and Parker in Kick at the Darkness. can’t wait for the sequel. !!!! Thx for the opportunity. I love your characters and romance! Well, at least I know if I don’t win it I’ll be buying it anyway … it sounds awesome and I can’t wait! So happy to see the sequel is coming! Looking forward to it. I loved the first book. It was so original and moving! I’m keeping my fingers I get picked for the ARC! Loved Kick at the Darkness, and I’m really looking forward to the sequel! Can’t wait!!! I loved Parker and Adam’s story and can’t wait to read more!! Thanks! I loved Kick at the Darkness and have been waiting for the sequel since I finished it. I can’t wait to read it! Thank you! Congratulations on the new release! Can’t wait to read it!! I loved Kick at the Darkness and gave it a great review on Goodreads! I’d do the same for this one. I need a new shifter book. I loved Kick at the Darkness. I don’t generally bother with shifter books, but I enjoy your books and had to give it a shot, glad I did since I really had fun reading it. Looking forward to your sequel. And the winner is…Tish! An email is coming your way.